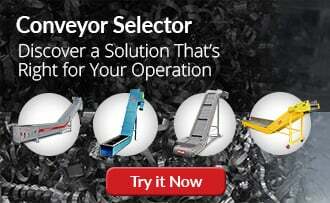 Quiet, efficient transfer of all types of machining scrap with the in-floor scrap conveyor. Convey all types of metal chips, fines and turnings, wet or dry bushy wads and tramp metal solids, in a liquid-tight trough. 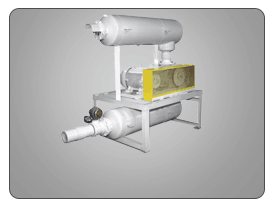 Ideal for high-volume coolant-flow applications. Automating scrap transfer minimizes safety risks by decreasing forklift traffic and scrap contact with operators. Access platforms with safety railings on the load-out system are standard, meeting OSHA requirements. 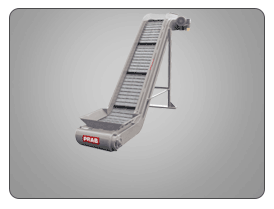 PRAB conveyors have the industry’s leading reputation as being dependable low-maintenance equipment with long service lives. The load-out system provides no carryover issues, and has clean transfer of scrap to containers for low maintenance. 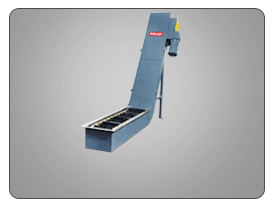 PRAB conveyors are built tough to withstand the harsh conditions and materials moved in the metalworking industry. Load-out systems provide even container fill and automatic level sensors for maximum fill capacity. PRAB conveyors reduce downtime by automating the scrap transfer process- maximizing machine operator production time. 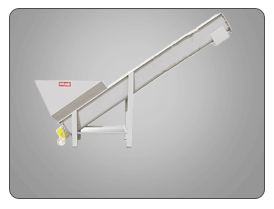 In-Floor trough conveyors are available as a free-floating ram design or guided ram scrap removal system.